Ed Whitlock owns more track and field records than almost anyone else. He’s held age-group records at every distance and middle distance event, from the 800 to the marathon. Whitlock died this morning in Toronto, a week after his birthday. He was 86 years old. Whitlock is most famous for becoming the first septuagenarian to run a sub-three hour marathon, when he laid down a 2:59:10 in 2003 at age 72. One year later, Whitlock lowered his own record by four-and-a-half minutes, finishing a marathon in 2:54:49. That’s approximately a 6:40/mile pace. 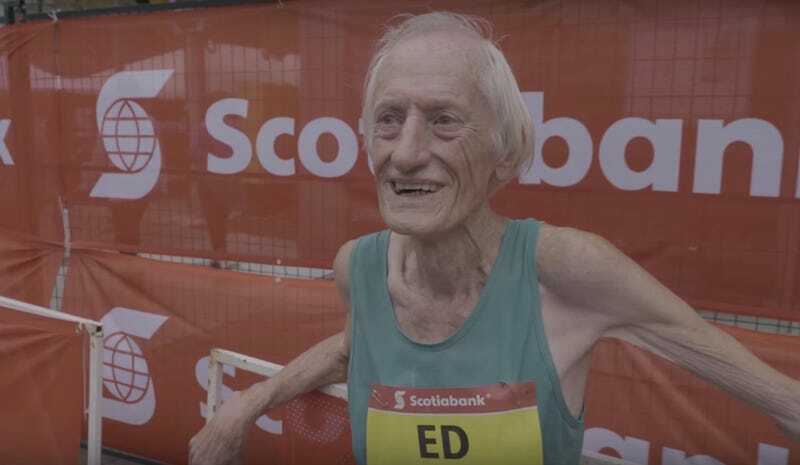 He holds the marathon age-group records for Men 70–74, Men 75–79, Men 80–84, and Men 85-89, which he most recently broke in October when he ran a 3:56:38 marathon and became the first octogenarian to break 4:00:00. His marathon records are all impressive superhuman feats of endurance, which one might expect a small, avian man like Whitlock to have prepared for in excruciating technical detail. Fact is, the man didn’t seem to care at all about advanced training methods or fancy gear. Ed Whitlock simply ran and he never stopped. At the Toronto Marathon, he raced in 15-year-old shoes and a singlet that was 20 or 30 years old. He wears no heart-rate monitor. He takes no ice baths, gets no massages. He shovels snow in the winter and gardens in the summer but lifts no weights, does no situps or push-ups. He avoids stretching, except the day of a race. He takes no medication, only a supplement that may or may not help his knees. Whitlock raced for his school in England (and supposedly ran a 4:34 mile) before moving to Canada to work as a mining engineer. He stopped running for 20 years until his son got into the sport, which pulled Whitlock all the way back in. 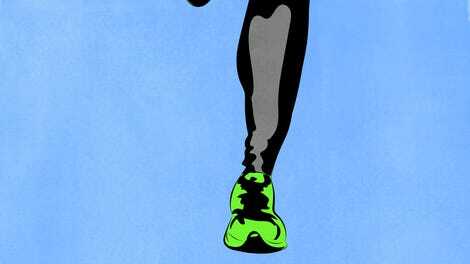 He ran a 2:31 marathon at age 48 and says he was instantly hooked after that. He joked about trying to break the marathon record for men in their 90s, and had he lived long enough, he would likely have kept on smashing every record in front of him.